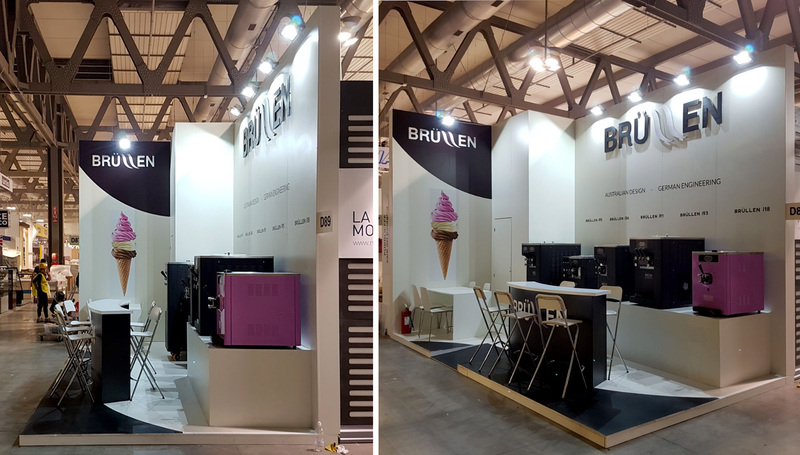 This project attended “Host Milan 2017”, the world’s leading trade in the Ho.Re.Ca, food service, retail, mass distribution channel and hotel industries. 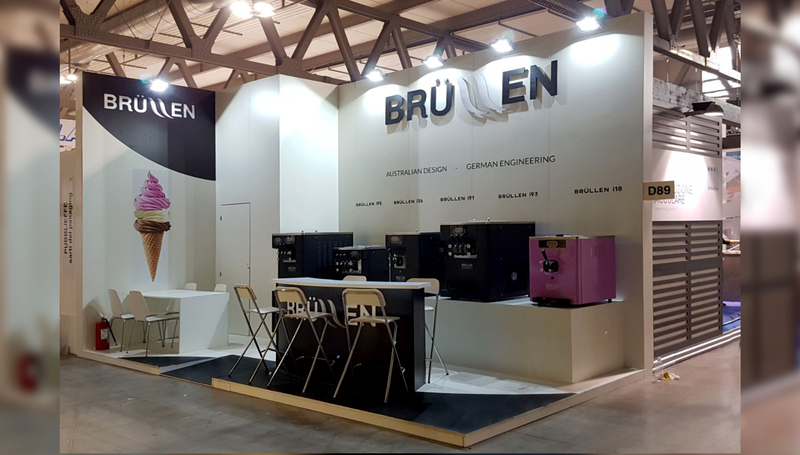 This is the favourite destination of top players for offering a preview of innovations in technologies in food equipment, food products (ingredients, semi-prepared items), the world of coffee as well as in terms of formats, design and lifestyle. It is also a unique marketplace for doing quality international business with professionals who have been carefully selected and who have high-level purchasing power. 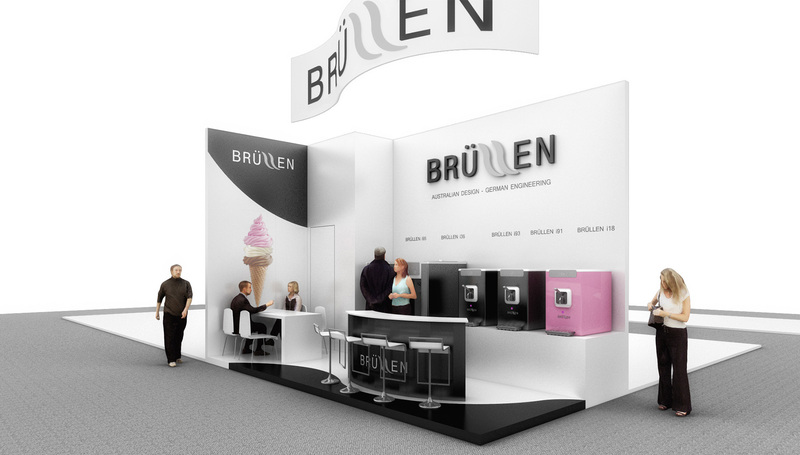 The stand was designed for Brüllen, an Australian company that sells, installs and services quality soft serve and frozen yoghurt machines World Wide. The concept, referencing to the curvy shape of the brand logo and playing with it, offers an attractive and elegant design in accordance with their style. 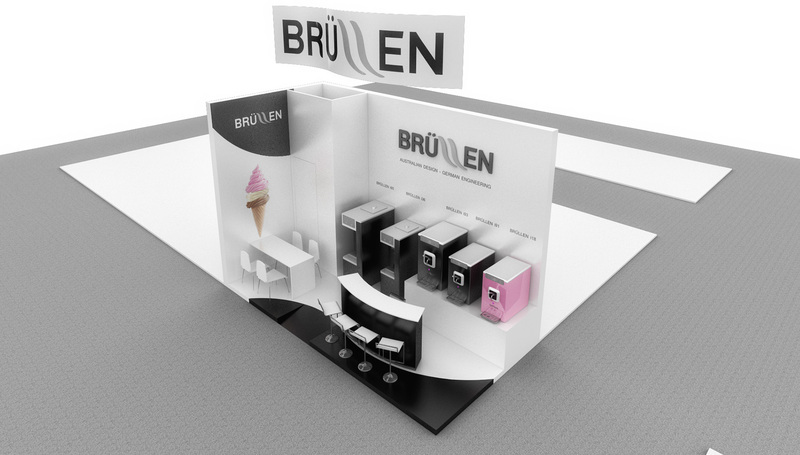 White walls act as a background and a curved presentation table shape the entrance of the stand. Originally a hanging banner was supposed to enhance that curvy idea, but was removed at the last moment.